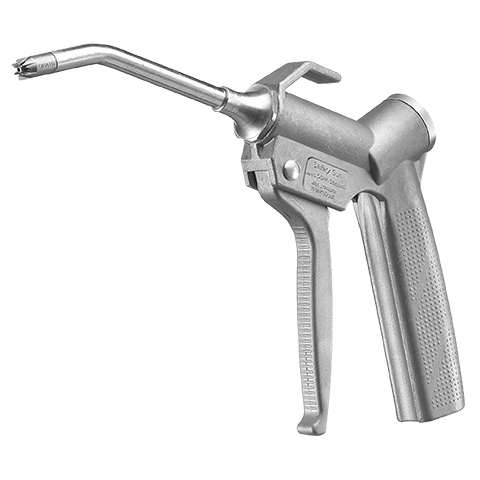 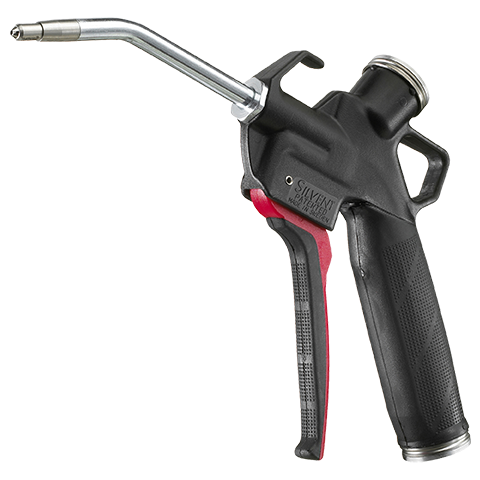 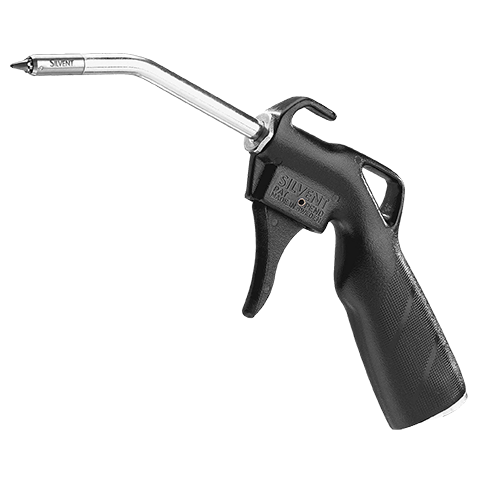 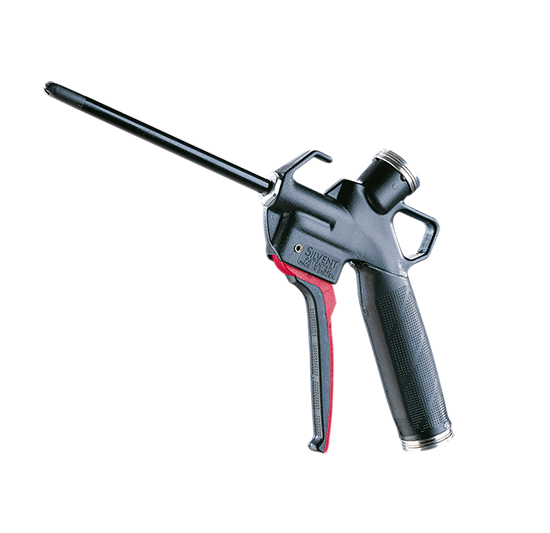 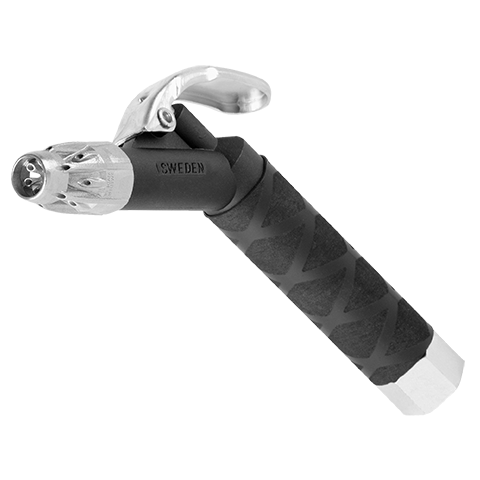 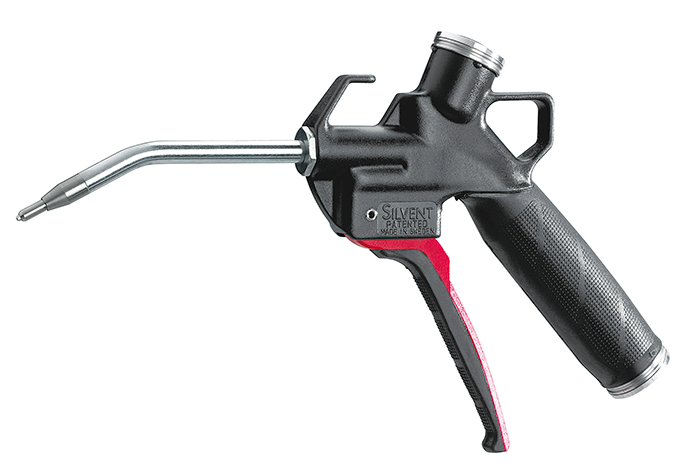 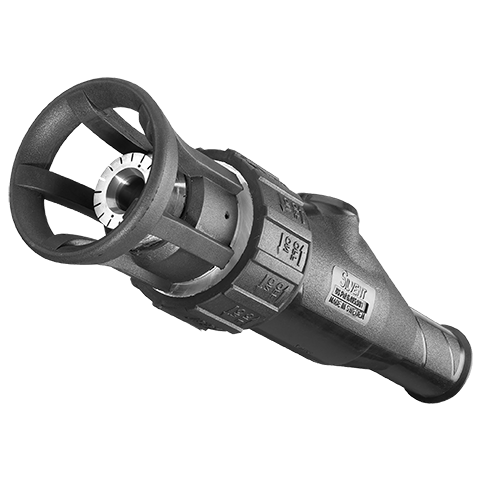 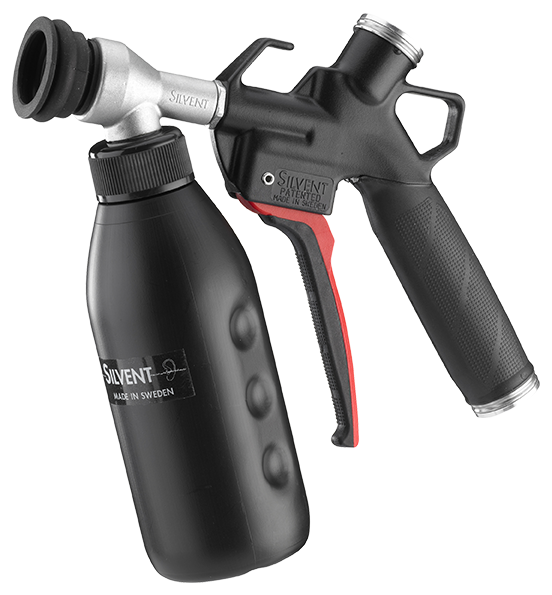 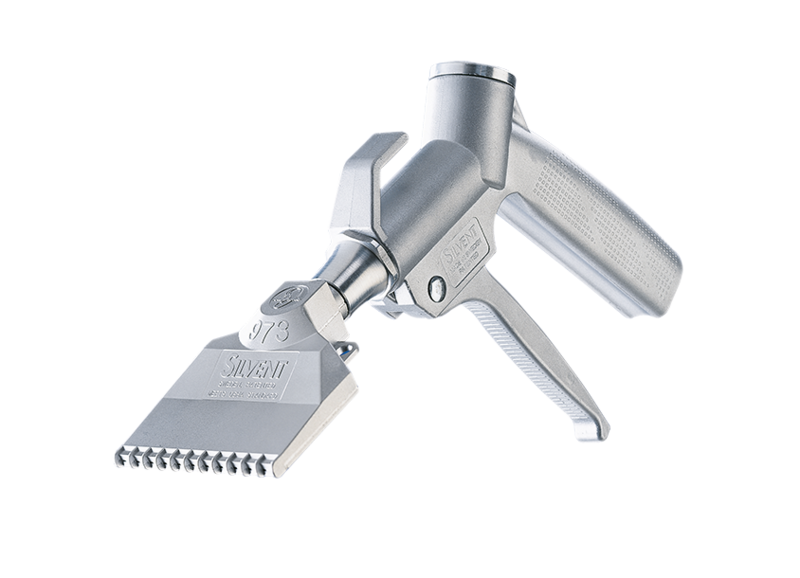 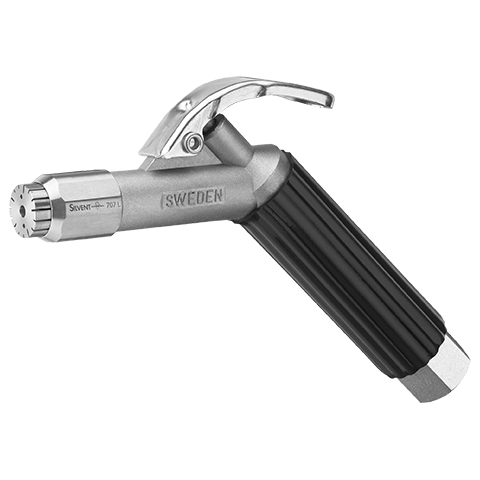 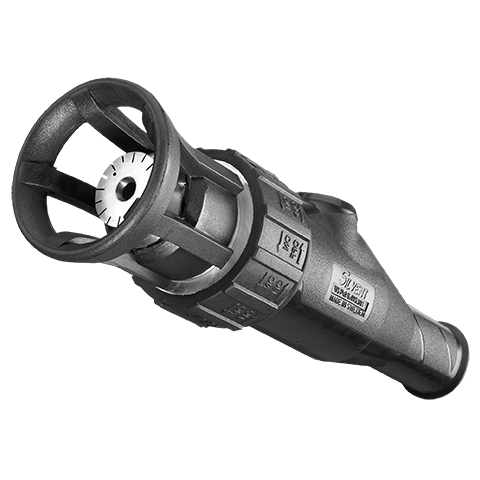 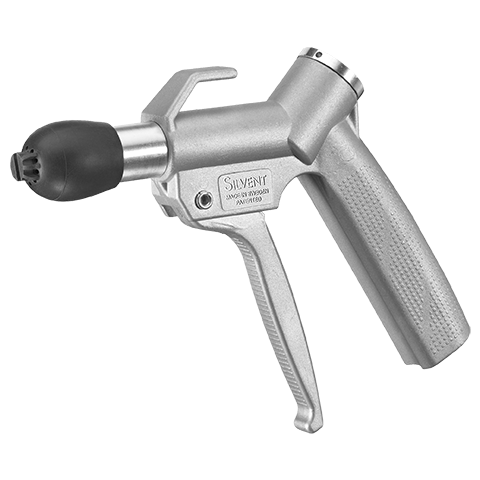 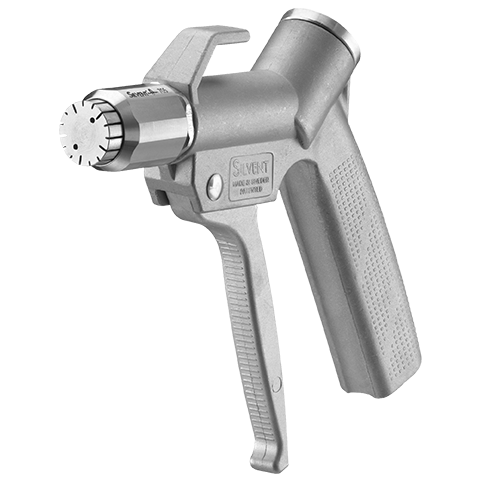 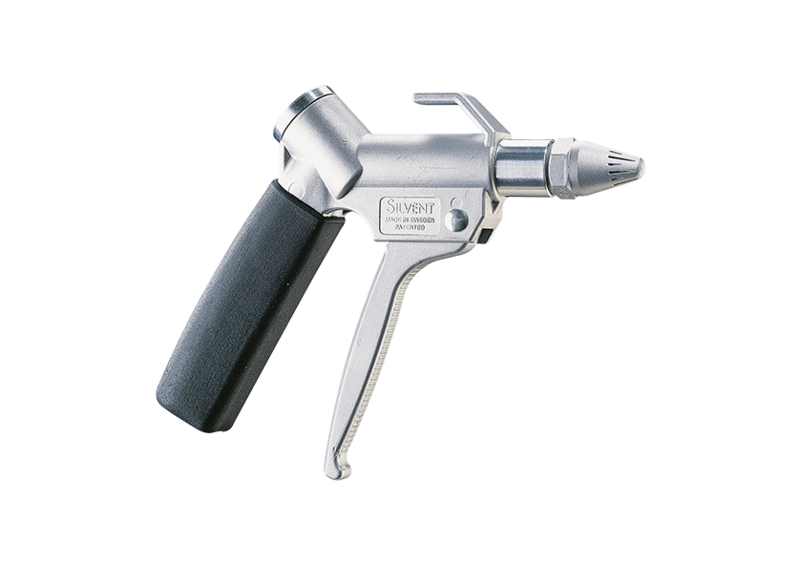 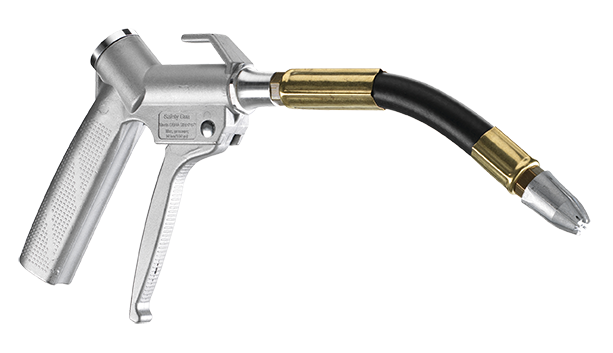 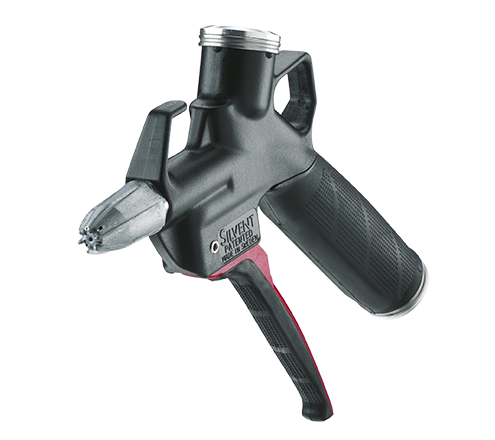 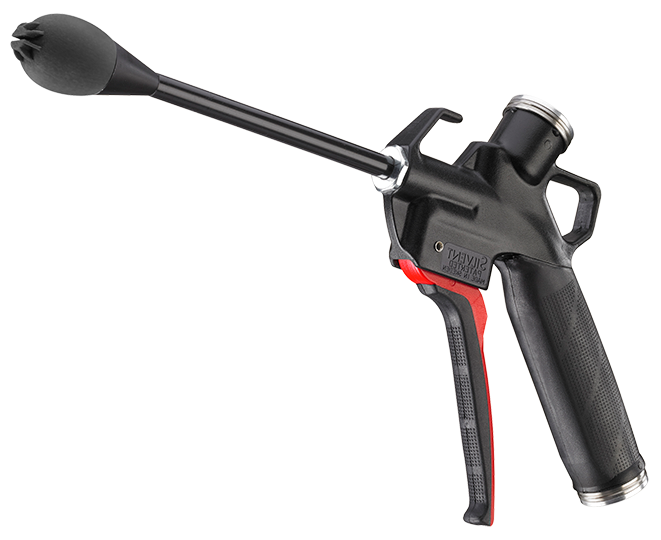 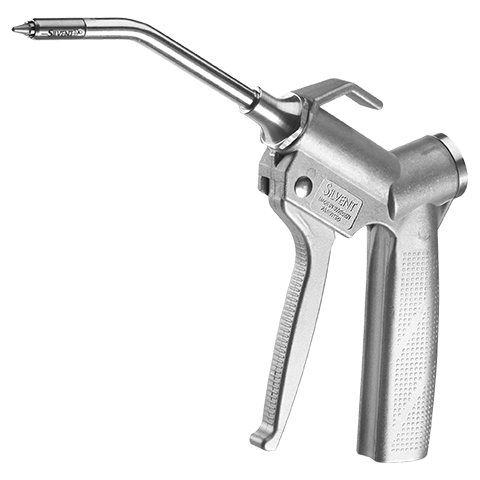 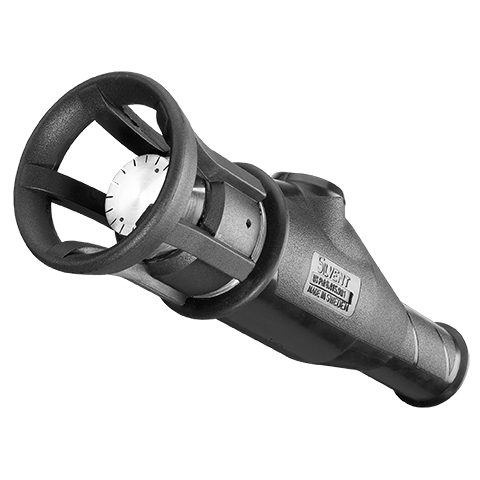 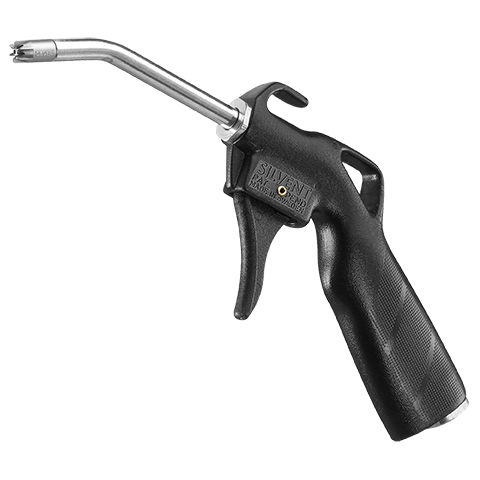 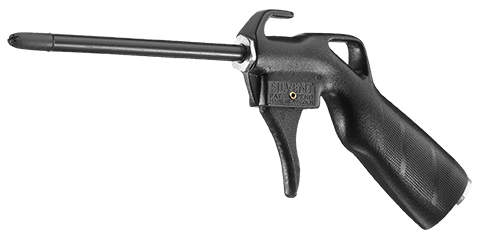 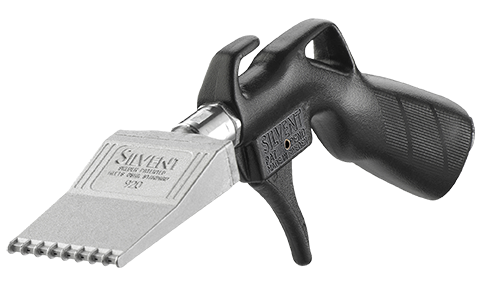 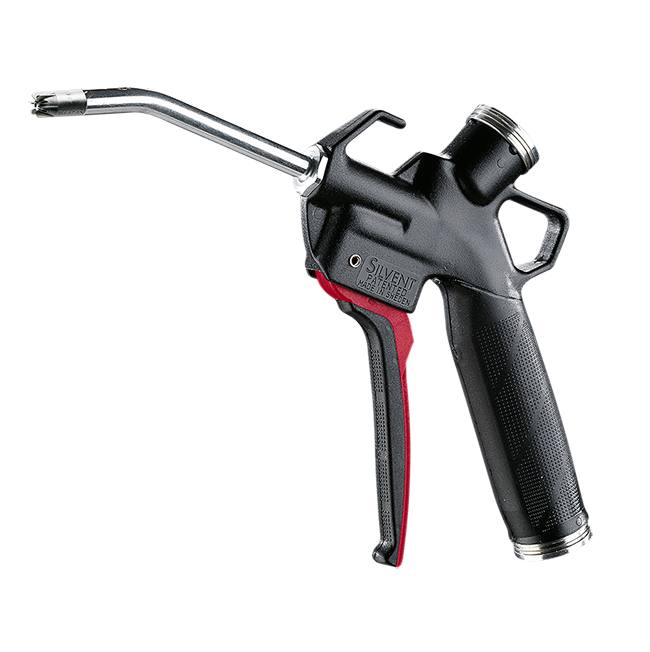 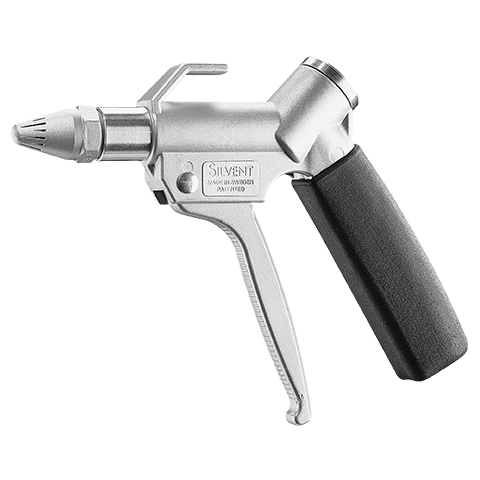 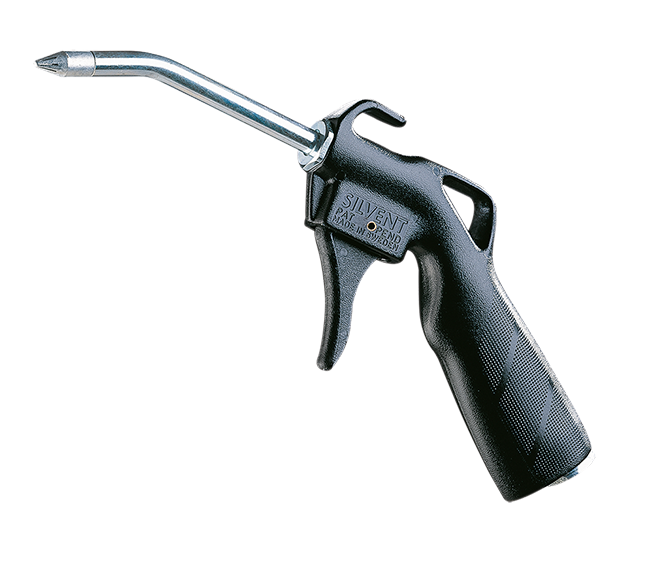 SILVENT 2220-L – 2280-L: fitted with a bendable hose that can be formed to the desired position and a new generation of Laval nozzle. 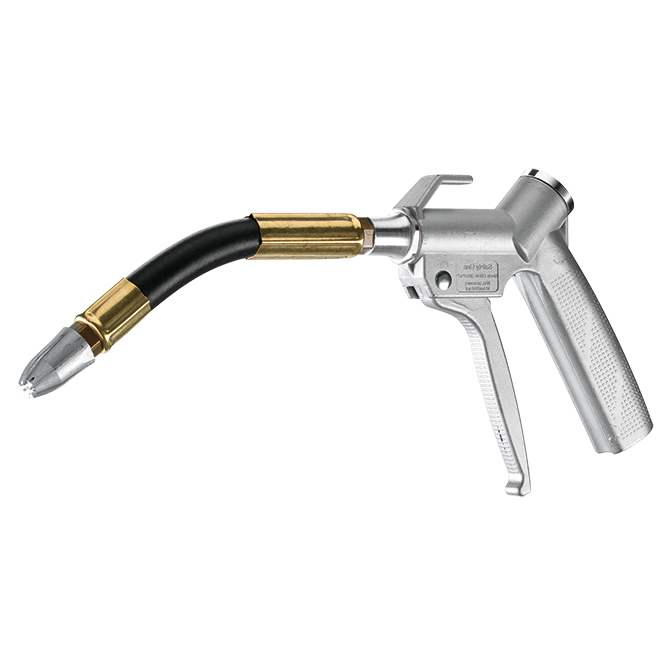 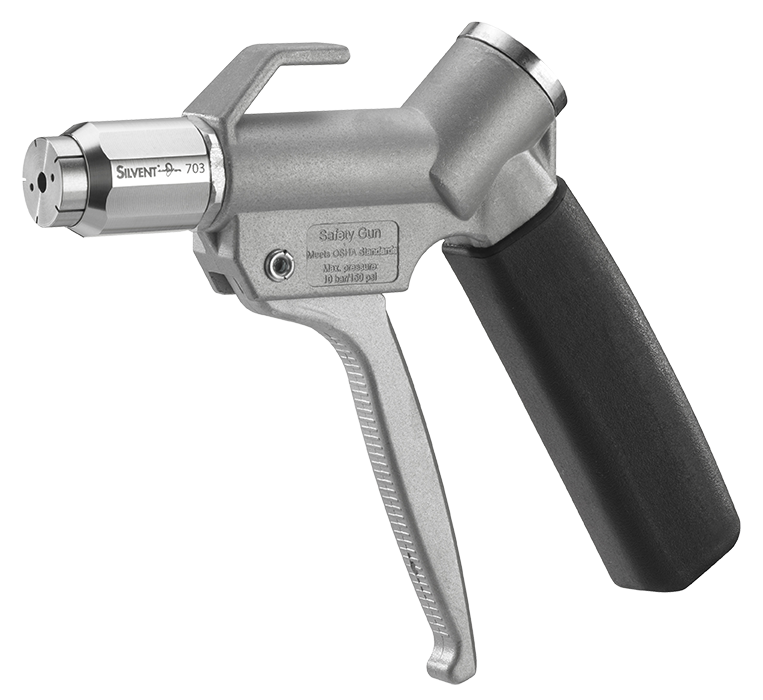 Perfect for applications that are hard to reach with conventional air guns. 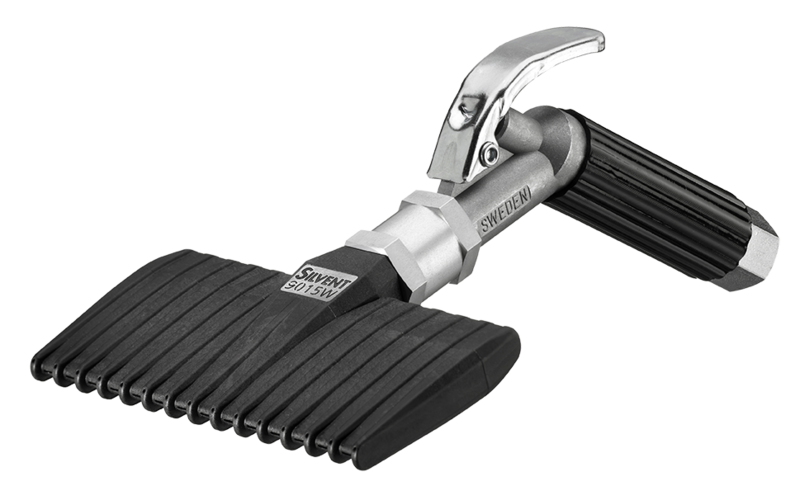 Available in lengths from 200 mm (7.87”) to 800 mm (31.50”). 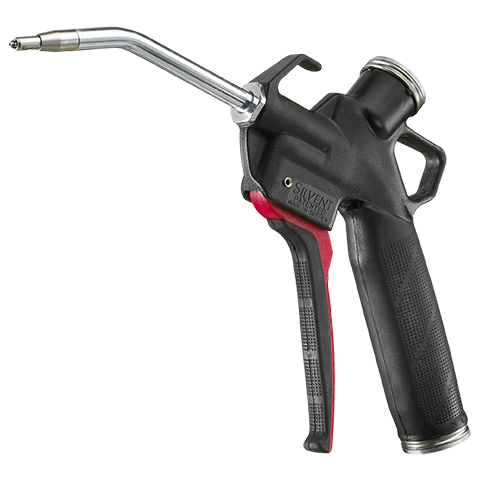 Equipped with an extension pipe, these guns are ideal for applications that are hard-to-reach or hazardous for the operator. 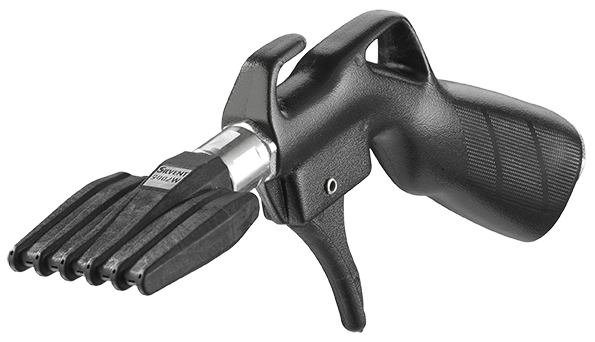 A properly dimensioned extension pipe protects the face from dangerous flying debris and spattering, and allows the user to maintain a more ergonomically correct working posture. 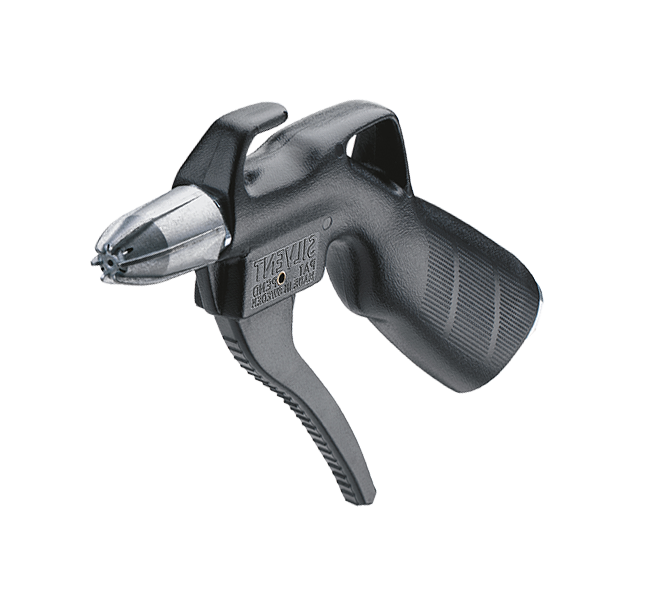 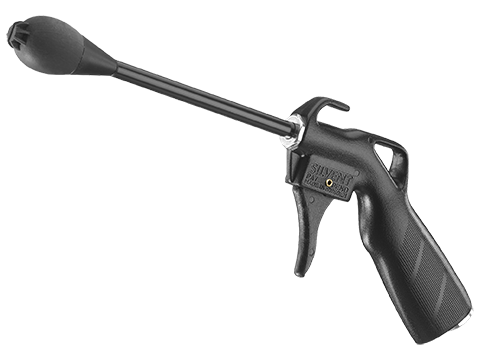 These safety guns can be equipped with softgrip handles that are easy on the hand and insulate against both heat and cold. 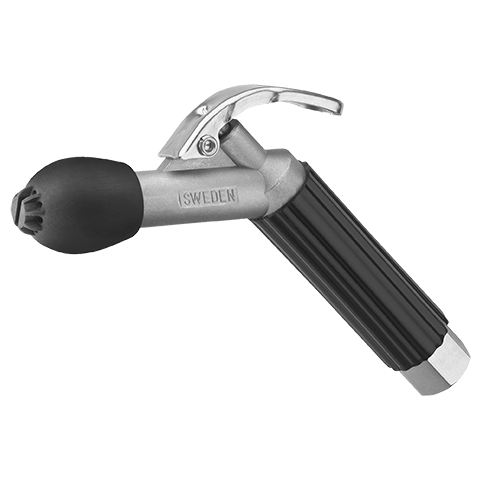 The 2000 grip is made of aluminum and is highly versatile, lightweight and user-friendly. 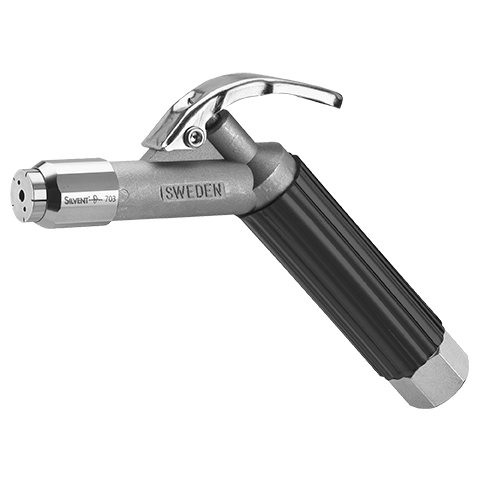 It has a modern and practical design that can be fitted with various types of safety nozzles, extension pipes, safety accessories etc.